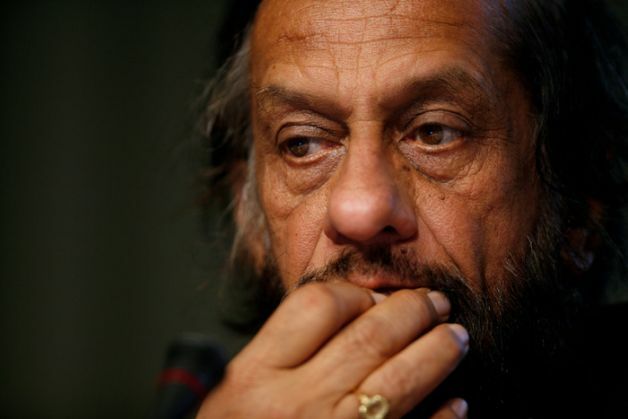 As RK Pachauri gets reinstated as TERI Executive Vice Chairman, the woman who had accused him of sexual harassment retorts. In this exclusive letter written by her, reproduced here verbatim, she talks scathingly about how matters have gone "from bad to worse". Shamelessness abounds ! The news of promotion of a man who stands booked on charges of sexual harassment at workplace, stalking and criminal intimidation by country's who's who makes my flesh crawl. While a prayer lay in the Hon'ble High Court of Delhi seeking suspension of R K Pachauri ( in compliance with the basics of the SH Act so that my rights to work are unaffected), TERI's Governing Council held a meeting around the same time because the man was looking to maintain his foothold in TERI. It was around 03 Oct, 2015 that I first heard of this from some current and former colleagues. I was sceptical in thinking that the organisation would not pour cheap, third rated oil to the existing smouldering fire. I was so wrong ! I was then made aware that the esteemed Governing Council of TERI is due to meet again in the same month and this time, as per some genuine well-wishers, the plan was to throw mud on me as well as the entire process and thus facilitate a promotion for R K Pachauri. The Governing Council of TERI met twice within a month to address insecurities of R K Pachauri and could not even hold a meeting over my complaint or my letter to them (dated 03 April, 2015) nor could they meet to discuss the ICC report presented on 19 May, 2015. They had the time and the will to convene two board meetings in a span of one month. This was very unheard of considering that TERI GC would only meet once every year per Rules and Regulations of TERI. For a research organisation, priority was given to meetings held by Senior Directors and Area Convenors to corner my colleagues, to get them to have me agree on a reconciliation - "Ask your lady friend to settle out of court. That would be best for her as she has nothing more left to achieve". Not a day passed without a message showing up on my mobile, warning me or bringing forth concerns "We are hearing that 'Victim' has settled", "I told them clearly that the complainant has not settled and she wouldn't. But they don't seem to believe me", "They were asking me about your family background", "My computer is always watched by the IT Department because they know that I support you". The ICC was dissolved. The ICC president resigned from her job at the Institute. The external member of the ICC is a woman who has expertise in the said field and a novice was brought in as her replacement for matters of convenience. The current ICC has his people. TERI and RK Pachauri are in-separable. Was I really hoping that the hostility would end, it only went from bad to worse. The GC's new candidate to lead TERI (into darkness) is in the middle of four court cases (yes, one ICC report snowballed into five court cases) and facing grave criminal charges. Such a qualification deems fit to lead an organisation. If that was not enough, the Governing Council is considering giving him operational powers. Reason being, it is required for foreign funding. Right, the act of persistence is best performed by a man who doesn't understand meaning of the word 'no'. For someone in my position who has had zero support from the organisation, when made privy to such developments was most disturbing. What in the world was I to expect and why would I risk more than what is lost already. Not just the Governing Council but others in TERI have shown where their conscience leans (if any). If quitting was not enough, TERI Media Executive went ahead and publicized information leading to my identity to the Press. Those women who did not testify to the ICC were "rewarded" with unjust promotions in designations, projects and travel approvals (to name a few) and continued to remain quiet, remain involved. I spoke up and was quarantined from work. Not allowed to resume work and no earnings for a long time. No money and a tainted Curriculum Vitae gave me sleepless nights. It was getting beyond my dignity to be associated with such an organisation and in the best of my interest, I quit. I felt most lighter in my mind and body on quitting TERI. I use this platform to further convey that the case stands as it is, I assure I will take it to its logical conclusion.